So, you come half way around the world and you hear about a sport and decide to give it a try. It’s a sport that when you first hear about it, you kind of get the impression that you know pretty much all there is to know. It’s a combination of two sports you know of already. One taken very seriously by players and fans alike, with millions going to the top athletes. The other seen mainly as a university activity, or something you do at the beach on a nice hot sunbatherific day. I am, of course, talking about Disc-Golf. 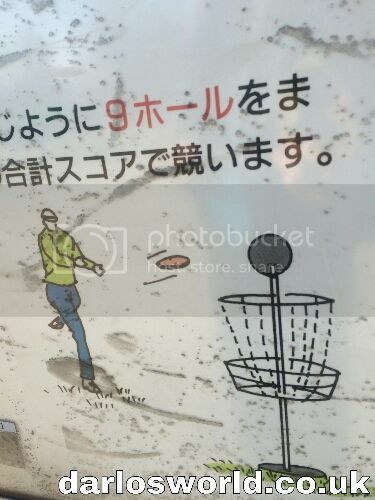 Disc-Golf is a combination of … what? You thought I was going to talk about Sumo Wrestling? What made you think that? Oh, the title. Nah that was just to sucker you in (glad to see it worked). Now, where was I … oh yes. 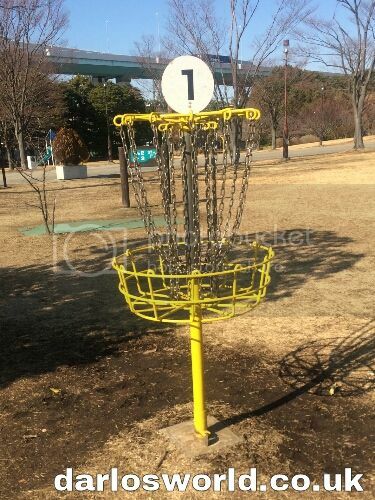 Disc-Golf is a combination of frisbee throwing (hence the disc) and golf (hence the … uh … golf). I’d not heard of it until I started my new job when my boss told me about it. So last week I had a crack at it myself for the first time. Like I say it was my first time so I’m not totally in the know about things like technique and the full array of rules, the key to equipment and catching wind-speeds, using the frightening Reverse-Down Spin or the painfully named Dagger Spike Shot (ok I made those two up), but I had a vague idea of what to do and a free morning. 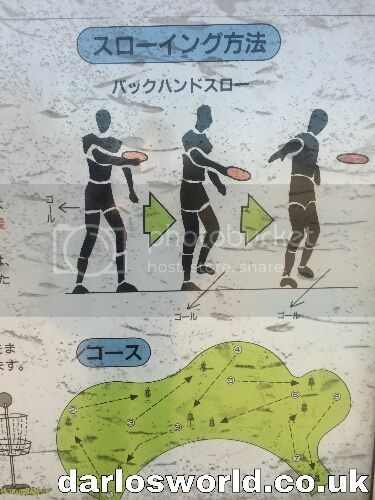 The rules are basically the same as golf, only instead of clubs and balls you use frisbees (or I suppose the generic non-branded term is flying disc … though that being said there are purpose made discs … ) of different sizes and weights; the equivalent to drivers, putters and mid-range clubs. Instead of a small hole, you have to get your disc into a chained basket. You tee-off by throwing your disc from a special area and then throw again from where it ends up, until you finally get it into the basket. I forgot that one of the things I loved most about throwing a frisbee with mates is making the buggers run by having it turn in the air (my evil side coming out), and this became a problem right from my first throw. Whereas I thought I was aiming nicely for the basket, my disc would suddenly dart off to the left! My other major problem was a concern for people’s safety. 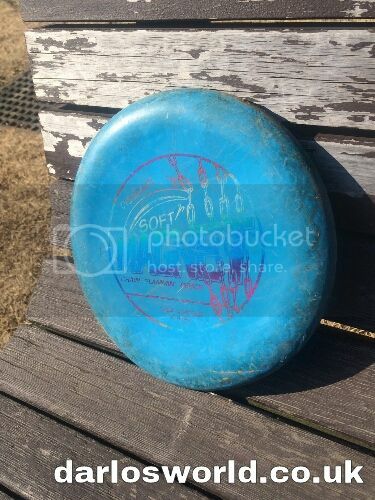 The course I was playing on was in the middle of a public park, so any out-of-bound throws could easily end up smacking the face of a once-happy passer by. Similarly, there was a group of (somewhat) elderly players ahead of me, so I didn’t want to throw it too hard incase I overshot the basket and hit one of them in the back of the head. This initially meant that my throws kept falling short and way off to the left, though as the game went on I slowly came to control the disc somewhat better. As I was new to this, and the older group ahead of me seemed to be regulars, I tried to keep an entire hole’s distance between us. However because there were 7 or 8 of them, keeping the distance did get a little boring. What didn’t help is they seemed to adopt a do-as-one-pleases attitude with the course; aiming for basket eight from tee six and so on. Which meant I was constantly waiting for them to get out of way and not walk across areas I was trying to throw. Frustrating as it was, I managed to maintain my British demeanour of patience and resilience, especially at the last hole as they all just stood there for about ten minutes … awkward buggers. Overall I enjoyed my Disc-Golf experience. The weather was just warm enough that I didn’t feel like I was outside in winter, and without a cloud in the sky I didn’t have to worry about rain or lightening hitting me, the metal baskets or the many trees around the course. I’d recommend it more as a group activity, or if you do go solo, probably best to try during the week when you are less likely to be sandwiched between two groups. Next week I’ll talk about my experience of becoming a member of a sumo stable and entering the national … yeah, you know that’s not going to happen.